2019 Brough Superior SS100. Picture credits - Brough Superior. Submit more pictures. This extraordinary machine has the elegance, style and glamour of the jazz age but is powered by the most up to date, cutting edge components, some handcrafted in the Brough Superior workshop. The 1920s roar into the twenty first century. Each motorcycle is made to order. There is a choice of three finishes and a number of options including optional wheels, handle bars, footrests and seats. Color options: Black, titanium, traditional black/silver with gold lines. Ask questions Join the 19 Brough Superior SS100 discussion group or the general Brough Superior discussion group. Enter your e-mail to join the 2019 Brough Superior SS100 forum and get notification of answers and new messages about this bike. You can unsubscribe with a single click. Bikez does not display, sell	or misuse e-mail addresses. Bikez.biz has an efficient motorcycle classifieds. Ads are free. Click here to sell a used 2019 Brough Superior SS100 or advertise any other MC for sale. 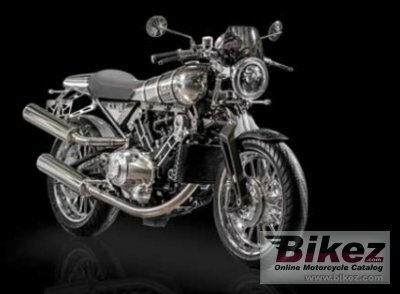 You can list all 2019 Brough Superior SS100 available and also sign up for e-mail notification when such bikes are advertised in the future. Bikez has a high number of users looking for used bikes. Before you buy this bike, you should view the list of related motorbikes Compare technical specs. Look at photos. And check out the rating of the bike's engine performance, repair costs, etc.